If you have an interest in Freemasonry, are a sojourner man from another area, a local Mason, or a person who is curious about what Masons do, I welcome you to our website. Freemasonry is the oldest, largest and most prestigious fraternal group in the world. Our roots reach back to the building of the Temple of Solomon in Jerusalem. Many of the principles that our country was founded upon have their roots in freemasonry. Some of the notable founding fathers of our country including George Washington, Paul Revere and Benjamin Franklin were Free Masons. American Icons to include Henry Ford, Dave Thomas, and Buzz Aldrin were members of our fraternity. Hall of Fame athletes John Elway, Arnold Palmer, and Ty Cobb also received the obligations. We are a Society of Friends and Brothers who support each other and look out for one another. We strive to make a difference in our community and set an example for society. Freemasonry is not a religion but is an extension of our faith in Deity. We improve ourselves internally through allegorical teachings. If you see yourself as such a man come and find out and talk to us. We meet on Thursday nights at 7:30 pm. Come out a little early at 6:30, join us, have fun and meet some new friends. Many nights we have dinner before the Lodge meeting so come join us for a little fellowship. If you have any questions just ask any of our members. We will look forward to introducing you around. Investigate, question and welcome to the Fraternity. 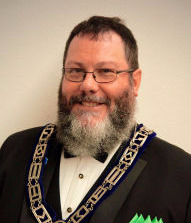 Nitram Lodge No. 188 F.& A.M.
and update you contact info. If you are not a member and would like a Trestleboard sent to you.